In celebration of National Sewing Month, WeAllSew hosts a fun presser foot contest throughout the month of September! This month we are inviting all BERNINA sewing machine owners to share one of their favorite sewing techniques. The BERNINA team will choose three winners out of the shared techniques to receive a free BERNINA presser foot and an exclusive blog post feature on BERNINA’s WeAllSew blog. Share one of your favorite BERNINA presser foot techniques on our WeAllSew community page. Upload at least three images (up to twelve maximum) showing your presser foot in action. 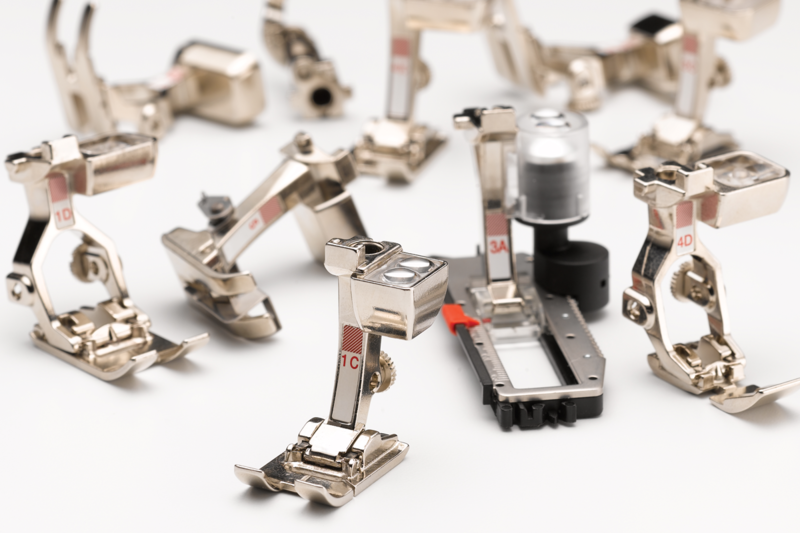 Describe what you like about your BERNINA presser foot and how it helps you master the particular sewing technique you share. 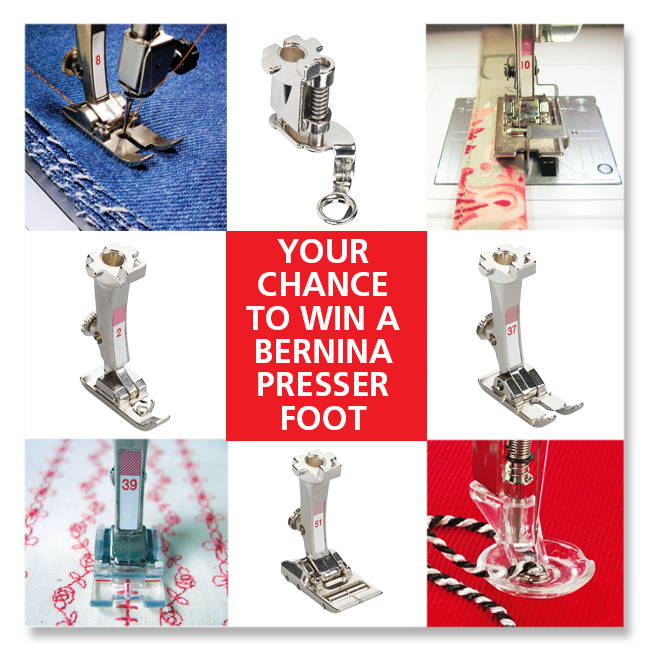 Select the category “BERNINA Presser Foot Contest” from the campaign drop-down menu before uploading your technique. And that’s it! Use the community section to show off your favorite tip. We’d love to see your great technique, and so does the entire community. Good luck! Official Sweepstakes Rules: One entry per participant. Images and descriptions must be submitted to the Weallsew.com community section by September 30, 11:59 p.m. Central Time. Winner will be chosen by a BERNINA USA team. Winner will be notified through email on October 5 and will have 7 days to respond in order to claim the prize; winners will be announced on the WeAllSew blog on or before October 31, 2016. Prize: One (1) BERNINA Presser Foot of the winner’s choice and exclusive feature of their sewing technique tip on the BERNINA USA blog, WeAllSew. Click here for official rules.